What are the 3 different types of data that every marketer is grappling with? Quite simply this is your data. It’s the data that you have collected from the actions or behaviors of visitors to your website combined with data in your customer relationship management (CRM) systems, social media data, subscription data, or multi-channel data gleaned from mobile sites or apps. This is essentially someone else’s first-party data that you can use to help achieve your marketing goals. For example, you can form a mutually beneficial relationship with another company whereby you each share your respective first-party data. This data is consolidated from websites and social media platforms other than your own.Third-party data helps marketers reach a wider audience, and when used in conjunction with a campaign, can help marketers reach more diverse and targeted audience groups. >> Why is Data attending multiple parties? 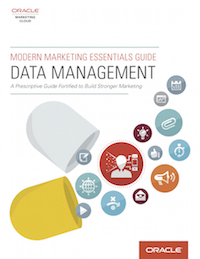 Ok, if you're not sure what 1st, 2nd and 3rd party data is, you need to download this guide. You'll find a glossary of terms on pages 14-15. The sheer volume of marketing information available today is nearly impossible to sift through, and it can be hard to decide how to allocate your valuable time. Ain’t nobody got time for that. We’ve got marketing magic to make! Lilyvale Cottage, 176 Cumberland St.
Email Address* The contact details provided will be used to keep you informed about Marketing Cube and related activities. Job Category Please SelectCMOCEOCSOCFOCIOCOOCXODirector - MarketingDirector - SalesDirector - ServiceDirector - FinanceDirector - ITDirector - Human ResourcesDirector - GeneralManager - MarketingManager - SalesManager - ServiceManager - FinanceManager - ITManager - Human ResourcesManager - GeneralIndividual ContributorStudent Which category best matches your job role?